For 32 years, the faithfuls at the cathedral have waited. 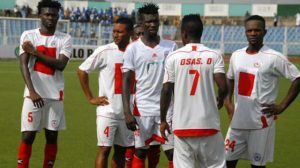 32 years, they’ve watched their oriental rivals from the Enyimba surmount a challenge that has seen them overtake rangers as the team with record league titles in the land. But this year, the tune has been different. Rangers international, a club with six league titles, second highest in the country and on par with age long rivals, Shooting Stars, have shown actions and talked the talk worthy of champions. 37 matches into the season, they have been breathing fire on every opponent who has wandered into the cathedral. Doubts were raised when the club appointed a youthful coach, an ex international, Imama Amakpabo. He was earlier recruited from rivals, Enyimba as an assistant coach, but he rose to the helm when the experienced Emetole parted ways with the club. The question back then was, why hand over a massive and traditional club like Rangers to a relatively unknown manager? 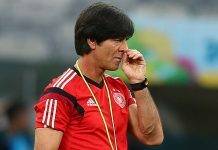 Is Rangers an experimental ground for unseasoned coaches now? So much questions came to surface. Imama was unfettered, he went about his duties building a family unit, recruiting where necessary and letting go where surplus and the result has been an outstanding brand of champagne football, acknowledged as a breath of fresh air. It is believed that Imama starts and ends his day while screaming attack because that is the only explanation for his swashbuckling display of football. Rangers have made The Cathedral a fortress this season and the fans have played their part by posting record attendances at The Cathedral with shouts of “holy holy rangers” deafening the visiting teams. The club has been massively supported by the state government. 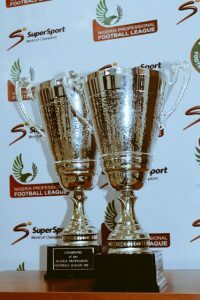 Christian chukwu, a club legend has been keeping a watchful eye on the team’s activities through his role as a technical director and the results have been splendid. 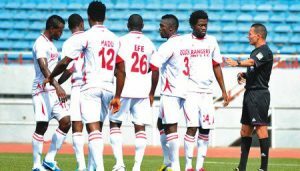 The Achilles heel of Enugu Rangers has been its defence. For a team who’s philosophy has been an all out rhythmic forward attack, there is bound to be a loophole. The defence has shown a bit of poor organisation which has let in cheap goals at some turns, the defensive unit has been found wanting mostly in away matches where the clubs point overhaul has been low, to their rescue is the Ghanian goalkeeper import “Bonsou” who has come in with superb form and displayed top-drawer performances. For its poor defensive play, the clubs attacking unit has put in a good shift. 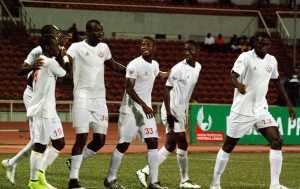 An attack led by Clement, Aguda, Nwobodo and Egbechulam, this strike force has been able to score 17 goals away from home – the higest away goal haul in the league, So good the fandom christened the quartet “CANE”. With a match remaining, the flying antelopes as they are called have their destiny within their reach. This season they have made it known to all and sundry that they deserve the league title and they have enough ammunition to see it all to the end. The Antelopes are back from the wilderness. Holy!! Holy!! Holy!! Rangers! 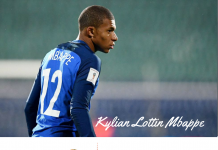 Previous articleAfter Arsene Wenger, What Does The Future Hold For Arsenal?